Some posts on this site contain affiliate links, meaning if you book or buy something through one of these links, I may earn a small commission (at no extra cost to you!). You can read my full disclosure policy here. One of the items on my bucket list has been to spend a night at a capsule hotel in Japan so when I was in there on my solo trip, I knew I had to make it happen. 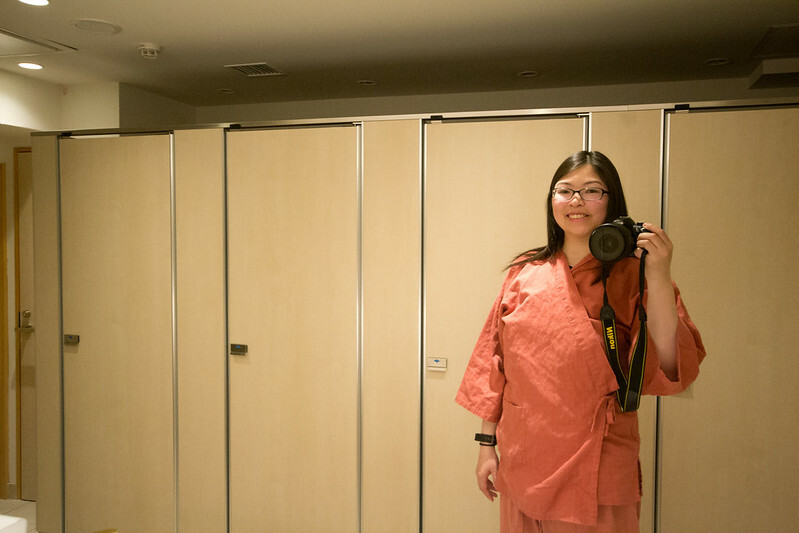 I picked a night where I would be in transit from one place to another and only sleeping in Tokyo – after all, these capsule hotels are made for those types of reasons. Note: This post contains affiliate links, meaning if you book or buy something through one of these links, I may earn a small commission (at no extra cost to you!). Read my full disclosure policy here. A capsule hotel, or a pod hotel, is a hotel where a large number of small rooms (capsules) are collected inside one room. Its aim is to provide cheap, basic overnight accommodation. 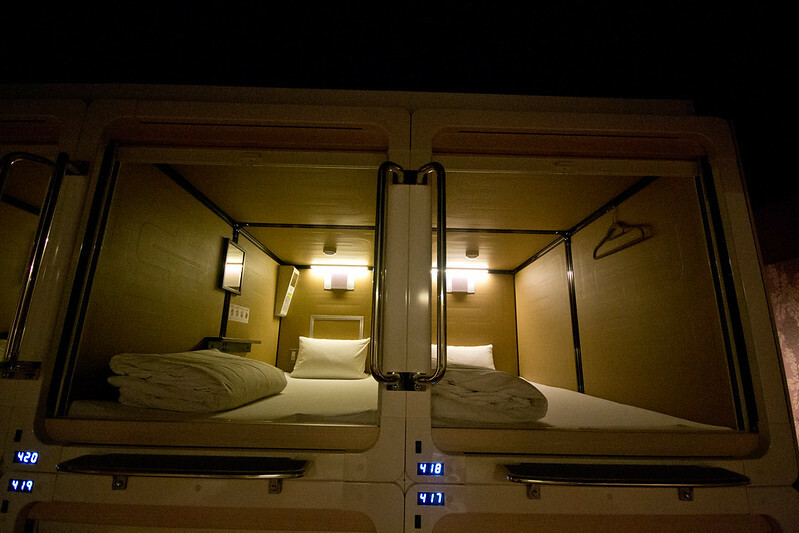 Maybe you are too drunk to go home, or you missed the last train home or in my case, you have an early morning flight – these capsule hotels allow you to spend the night relatively comfortably. For some reason, I had always thought capsule hotels in Tokyo would be inexpensive. But boy was I wrong. On average, most capsule hotels run in the $50 CAD range which is a lot more than I thought it would be. However, if you think about it, it kind of makes sense: it’s last minute, you’re in one of the most expensive cities in the world. The 4th floor was the women’s floor. 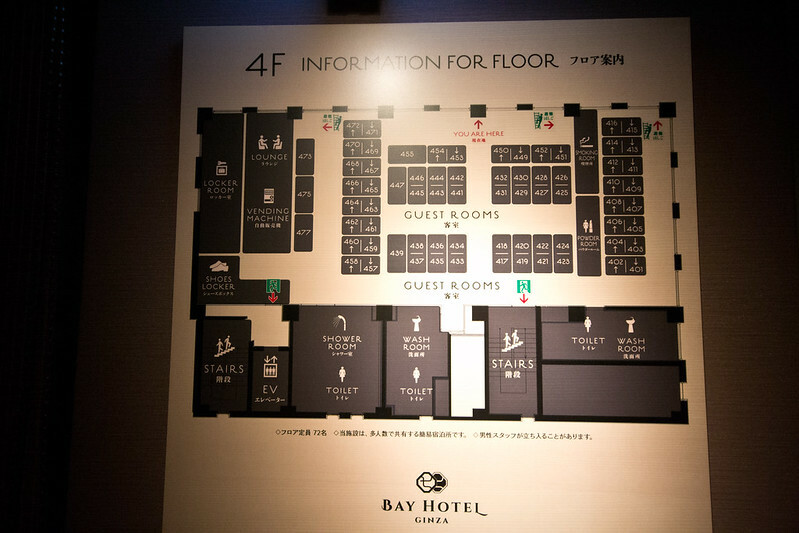 I managed to find one capsule hotel, the Tokyo Ginza Bay hotel, that was about $30 a night if you booked at least a month in advance which by chance was what I was going to do. Not all capsule hotels are open to females so it’s even tougher to find a reasonably priced one. 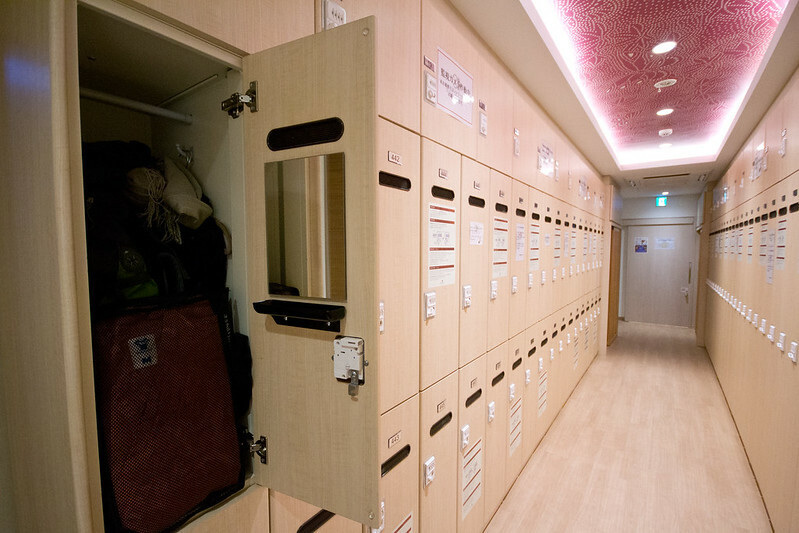 Because floors are generally separated by gender, some capsule hotels just don’t have the space to offer rooms to females. However, for the price of your stay, you do get a lot. Along with your sleeping pod, you get pajamas, slippers, towel, disposable toiletries, and soap – everything you would ever need in an emergency hotel stay. 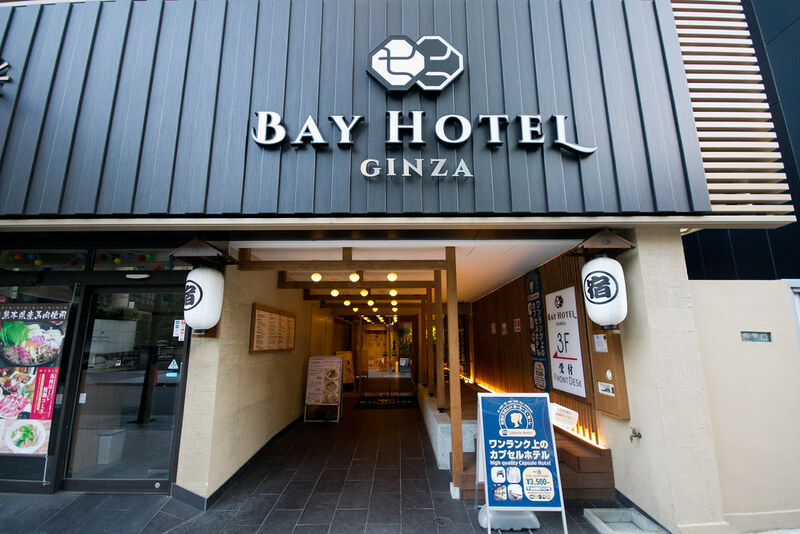 I stayed at the Tokyo Ginza Bay Hotel which is very centrally located. It’s walking distance to the Tsukiji fish market so if you’re thinking of trying your luck for the early morning tuna auction, this capsule hotel may be a good option. I was heading to Narita airport the next day and the hotel has easy access to a number of routes to the airport (if you have a JR pass like I did, hop on the Yamanote Line at Shimbashi Station and then change onto the JR Narita Express at Tokyo Station – super easy). Upon my arrival, I was asked to fill out a registration form, given my locker number and bed number. Before I could even enter the hotel proper, I had to lock my shoes in a little cubby. The hotel had a no shoe policy. Your locker is where you can store all your things as your capsule area is insecure and quite small. The average individual using the hotel wouldn’t have much stuff and the locker would be more than enough space, but me with my traveling backpack found it tough to fit everything inside. Also in the locker are your pajamas, towel and slippers. The sleeping area is what you would expect it to look like. A number of bunk bed pods stacked on top of each other. It looked almost futuristic. The pod itself looked rather spacious from the outside, but once I was inside and had closed the privacy blinds, I felt really claustrophobic. I’m not normally uncomfortable in small spaces, but this was especially tight. I got there quite early and there weren’t that many people around yet. However, this changed as the night went on. Throughout the night I could hear people coming and going. I could hear the snores and sounds of sleep. I could hear people opening and closing their blinds. I could hear people’s alarms go off in the morning. Basically, I could hear everything. The walls of the capsule are incredibly thin. As a light sleeper, that made for a terrible night’s sleep. My earplugs were no match for all the sounds that people were making. At one point I got up in the middle of the night to go to the washroom and almost every pod was full. I really didn’t think the hotel would get full especially since when I went to bed around 11 it was still more than half empty. Impressive! 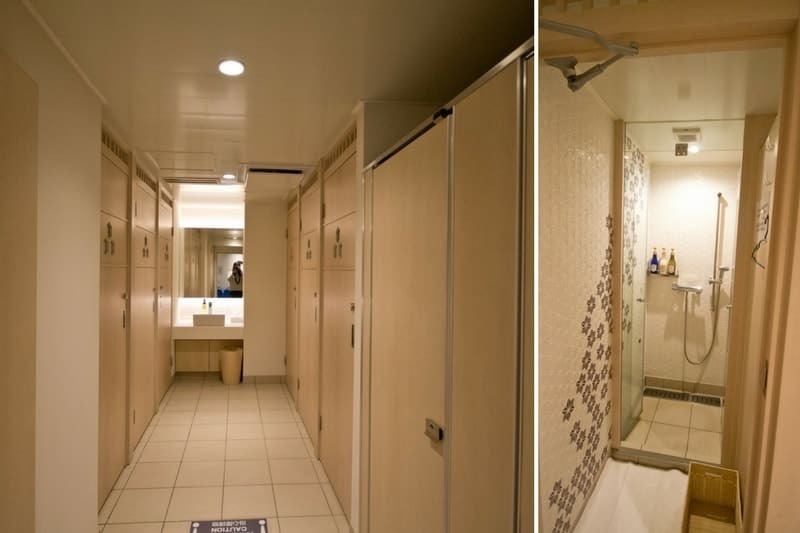 Like hostels, the capsule hotel had shared bathroom facilities. Each of the shower areas had its own small privacy area where you can undress and the stalls provided shampoo, conditioner and soap. 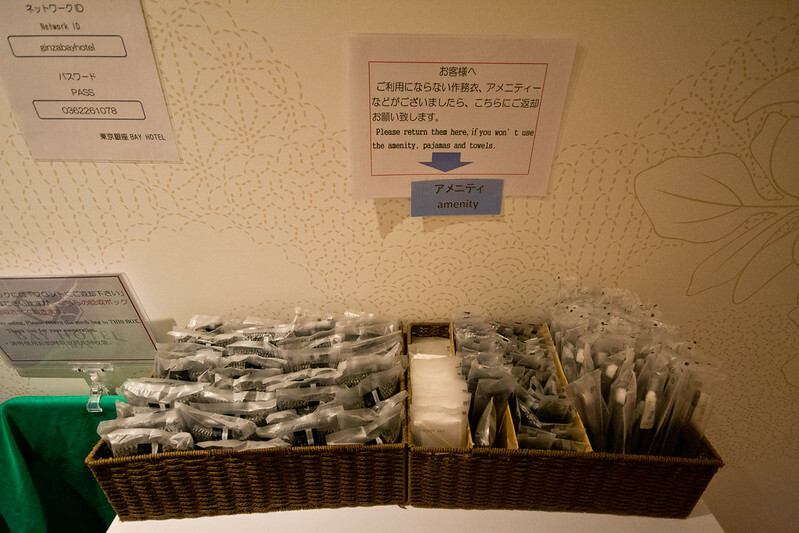 Everything was very clean and well organized. The hotel has free wifi, a microwave and kettle, laundry facilities if you need it, and lounge area where you can work or eat. The website also makes mention of a foot bath, but I wasn’t able to locate it. The hotel is very secure and you need a pass card in order to come and go. So much of the experience is automated, you don’t even have to talk to anyone really. 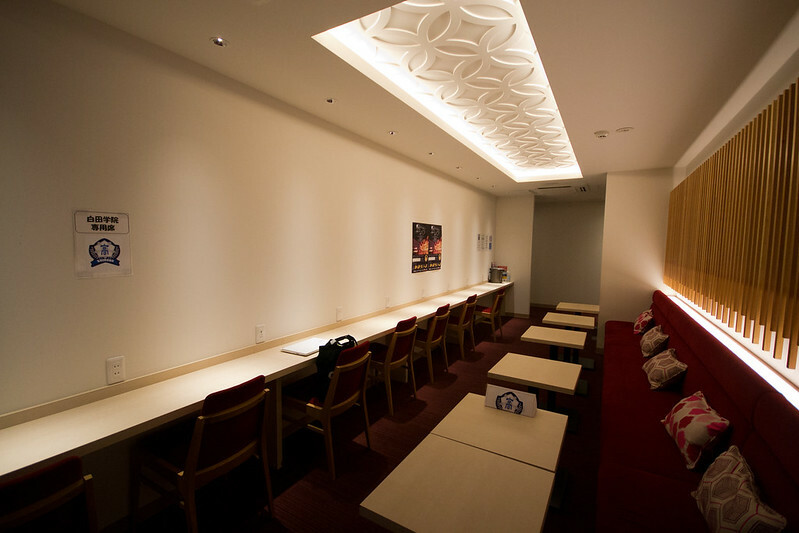 Aside from the location in Ginza, the hotel has a variety of other ones around Tokyo, including one in Akihabara which is only for women. Staying in a capsule hotel in Japan is definitely a unique adventure, and I’d suggest trying it out for the experience at least once. However, don’t expect a great night of sleep unless you’re able to sleep through anything. Try to book your night early so you can save a bit of money. Even if you can’t book ahead, staying in a capsule is perfect if you need last minute accommodation. A capsule is great when all you need the place for is to sleep as you make your way from point A to point B. It’s no frills, but you do get a lot of amenities with your stay. It’s perfect for the solo traveler. My sleep wasn’t the best, but the special environment more than made up for it. Reserve your night at Booking.com or check out reviews on Tripadvisor. Have you stayed in a capsule or similar hotel? What was your experience like? Thanks for the very honest review. I am not sure, as someone who is quite claustrophobic, that I’d even try. A little soundproofing would be such a good thing too. I’ve tried the pod hotel at Gatwick (Yotel) and it’s a lot bigger, with its own shower and loo and with a TV. That I can cope with – this would just be a step too small for me. Lovely to hear about it though…and to see the pics! I’ve heard great things about Yotel and would definitely would check it out if I had a long layover. It sounds really comfy and totally different than this. I like the concept of Capsule hotels as sometimes all you need is a safe and clean bed to sleep. However, I would be too claustrophobic in the small space. IF I have to sleep here, my cell would stay open and my head would be pointing outwards allowing me some fresh air. I too am a light sleeper – wonder of I would get some sleep if there are noises all around you. But like you say, it is an experience that one must try at least once in life. The noise might be too much with the door open, but you definitely get a lot of air that way. The pod became quite stuffy as the night went on. Amazing that they give you pajamas — that would be super handy if you just get stuck somewhere unexpectedly for the night! I stayed in a pod hotel in Jakarta that was just a little bigger, but definitely lighter on the amenities. No pajamas or toiletries. I agree that it’s hard to get a good night’s sleep with so many people around. Yes exactly! That’s the perfect opportunity for staying in a capsule hotel. ooh, I’ve heard of capsule hotels and hostels before and have always wanted to try one out – I know they have one in Bogota, Colombia but like yourself it would be Tokyo where I would want to try out. It’s interesting you mentioned about the walls being quite thin and you could hear everything; so basically it’s no different than being in a shared room expect for the possible feeling of claustrophobia ? Were the pods themselves comfy? You do get privacy once you pull your pod door down which is nice, but essentially it’s like sleeping in large dorm bed in a hostel. The bed itself was okay. It was thin, but most hostel beds in Japan I found were similar. 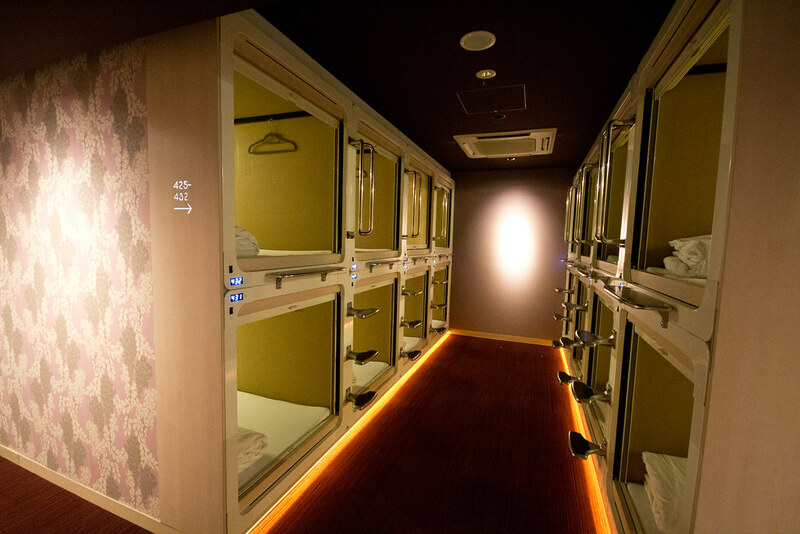 As far as I know, pod or capsule hostels were invented in Japan. I’ve stayed in a bunch around the world, but none looked quite as nice as this one. I also love the complimentary PJs and slippers. I just can’t wait to make it to Japan! 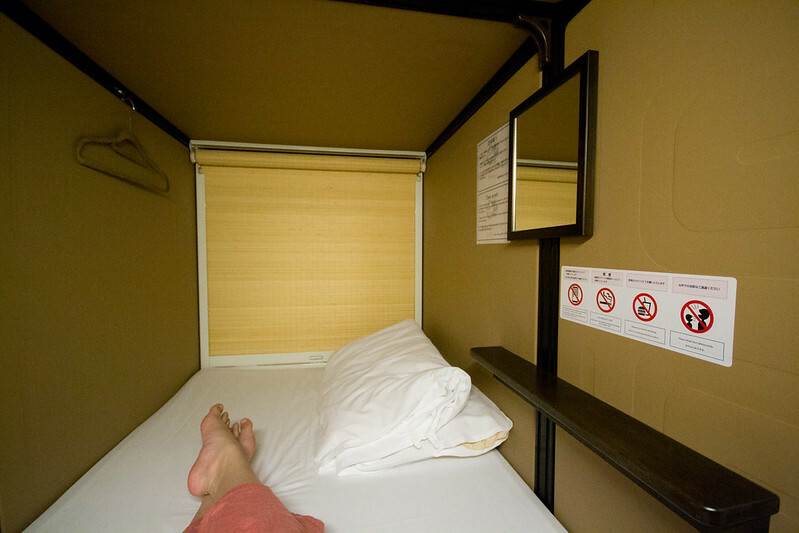 Where else did you stay in a capsule hotel? I’ve only really seen them in Japan. Other ones I’ve spotted don’t come with all the amenities as far as I can see or are much bigger. ive always wanted to try one of these. but reading your blog im worried about the noise, im such a light sleeper. I was also really anxious about getting up in time to go to the airport which may have contributed to the poor sleep. I think it’s still worth trying it at least once for the unique experience. I love that they provide pjs for you to wear! Do they have snuggle-sized, two person capsules if you’re traveling with your spouse?! I’d love to try this, even if it doesn’t make for the best night of sleep. No unfortunately you have to have your own individual pods. Also each of the floors are dedicated to specific genders. First time when I stayed in a capsule Hotel in Japan, I was a little worried but it was such a fantastic experiences. I like the privacy you get inside a pod. 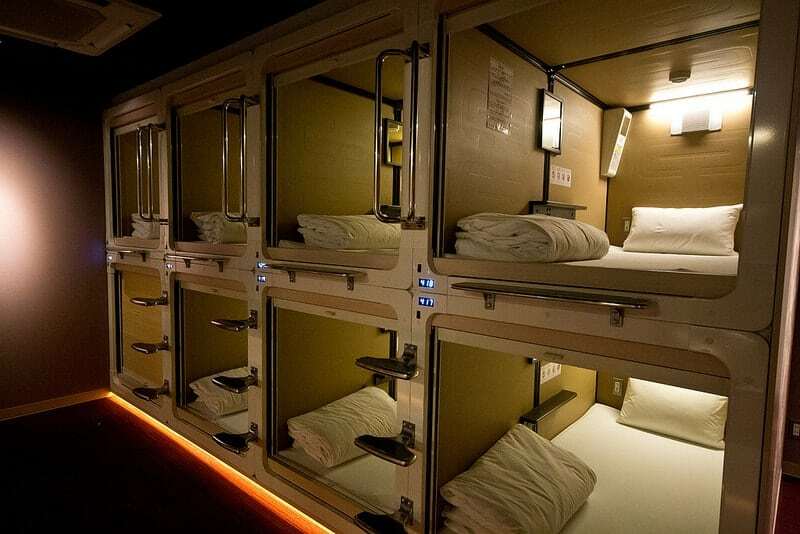 So i think I would like to stay in a capsule hotel for just one night while in Japan. The Tokyo Ginza Bay hotel’s capsules look very cool and I like the insides. I mean who offers a shelf and a mirror and other amenities like that? What was that electronic box near the head of the bed? The box lets you turn on and off the light in your pod and it also has an alarm. No, you had the return them unfortunately. It would have been cool if you could though! Wow. Ok. So it’s sorta like a hostel with bunk beds. I guess being that they are pods they take up less space than actual single bed. I guess if I was really tired I could make it work but I’m not sure if I could shake the claustrophobic coffin type feel. Yep exactly like a hostel, but with a lot more people and less space. The hostels I ended up staying at in Japan seemed quite similar to capsule hotels actually.